Genuine White-Rodgers ComfortPro replacement lamp for model UV100 and UV200. 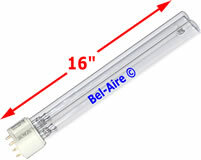 Overall length 16" the glass length is 15 inches. This price is for each bulb. 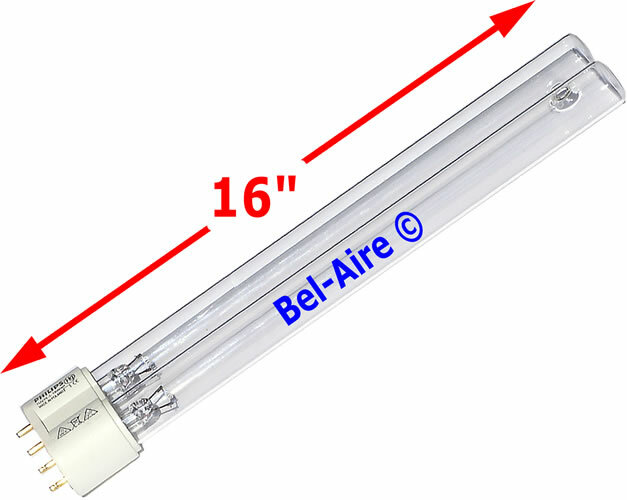 The UV100 uses one bulb and the UV200 requires two bulbs. Note operating the unit with a burnt out bulb can damage the ballast.